Since 1968, Keystone Truck Caps has been a family owned and operated business offering the highest quality products available. Keeping up with the changes in the automotive industry, we have become a one stop shop for everything you need to make that vehicle your own. Click "JOIN OUR TEAM" to get a job application! and ​see what we are all about! Check out the before and after of our company vehicle as an example of all we can do for you! New tires and wheels, head lignts and tail lights, front grill, rain gaurds and aeroskin, leveling kit, nerf bars, and more! Check out the accessories page to see what was added under the hood. 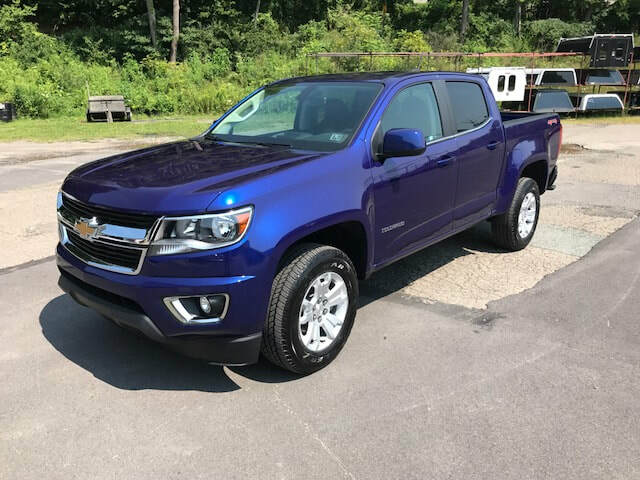 We offer all types and sizes of caps and Tonneau covers for any vehicle with a bed. We also provide contractor caps and can provide fleet outfitting! Graphic Details, a division of Keystone Truck Caps, provides a full array of printing and sign services. From tractor trailers to novelty shirts, Graphic Details will make your business stand out and be noticed. CLICK TO SEE OUR SPECIALS!